Last year, Starbucks made national headlines when two black men were arrested in a Philadelphia location for sitting in the store without making a purchase. The corporation quickly admitted wrongdoing and ordered all of its more than 8,000 stores to close for an afternoon of racial bias training. Unfortunately, similar incidents of unconscious biases occur every day, even in school classrooms. If the safety of all students is one of the main priorities in our schools, we must ensure they are emotionally safe from unconscious biases as well. Principals can play a lead role in helping teachers and support staff understand how their own unconscious biases – social stereotypes about certain groups of people that individuals form outside their own conscious awareness – affect how they engage with students and their families. As you think about the types of encounters you want your students and their families to have, identify opportunities to help your staff become more aware of and avoid these five common types of unconscious biases. Beauty bias can be interpreted as the outer appearance reflecting an individual’s worth. These students are often body shamed, humiliated and discriminated against without even knowing it. How many times have you observed students’ characters being judged or labeled by how they were dressed? Why is it that more female students of color are dress coded and punished, as was documented in a 2018 report by the National Women’s Law Center? Is the dress code at your school gender-equal? Or imagine you are at the winter choir performance and you see two very distinct families, the Conner family and the Almasi family. The Almasi family has a language barrier and dresses in traditional Arab garments, while the Conner family speaks English and looks like your perception of average, everyday parents. Ask yourself, whom are you most likely to approach first? We tend to fear what we don’t know, and language and cultural barriers can limit engagement if we let them. When we see or experience one negative interaction with someone, we can let it cloud our opinions of their other attributes. This has become a national issue with boys of color, who are three times as likely to be expelled or suspended than their white peers, according to the Kirwan Institute for the Study of Race and Ethnicity. Contrast effect is the tendency to promote or demote something in a large grouping after a single comparison with another peer. Consider for example how our educational system tends to reward students based on academic grades versus academic growth. Each child is compared to one another in the classroom, but is that hard-earned A+ more important than the C+ if both children tried their best? Some schools have begun to shift this approach, asking what each child needs to be successful in school instead of assuming the better grade equates to the better student. Conformation effect is looking for information that supports our beliefs and ignores details to the contrary. Imagine someone saying, “He’s from a Third-World country, so of course he isn’t very well educated.” This is an example of conformation bias due to believing a poorer country has less educated people. Now, transfer this to a school setting. We often think that parents that are part of a PTA/PTO are more engaged and value their child’s education more than parents who are not visible at school. But think about what might be keeping those parents away from your school: Are they working two or three jobs, attending night school or unable to speak English? 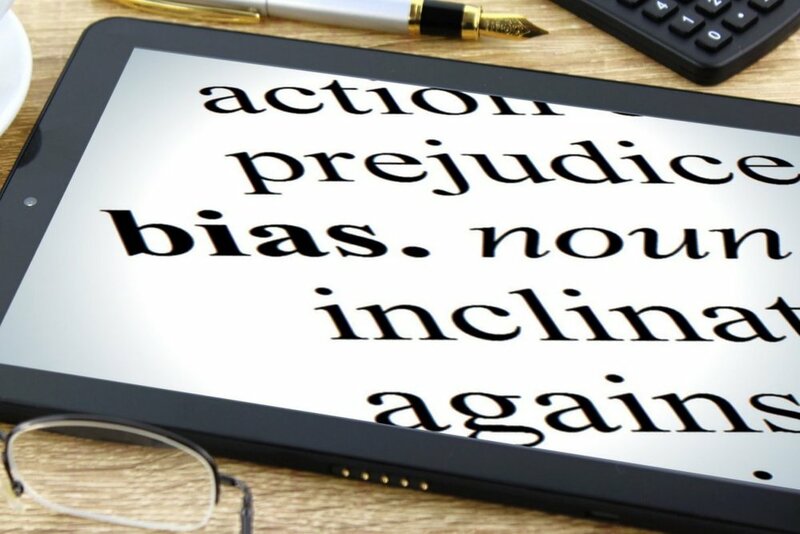 As you reflect on the types of encounters you want for your students and their families, consider providing school staff with professional development that helps them recognize and avoid these unconscious biases. Such efforts will help affirm the worth and dignity of all individuals within your school. Reprinted with permission from the copyrighted article of the same title published in the February 2019 issue of PRincipal Communicator, a publication of the National School Public Relations Association. No other reprints allowed without written permission from NSPRA, 15948 Derwood Road, Rockville, MD 20855; (301) 519-0496; www.nspra.org.